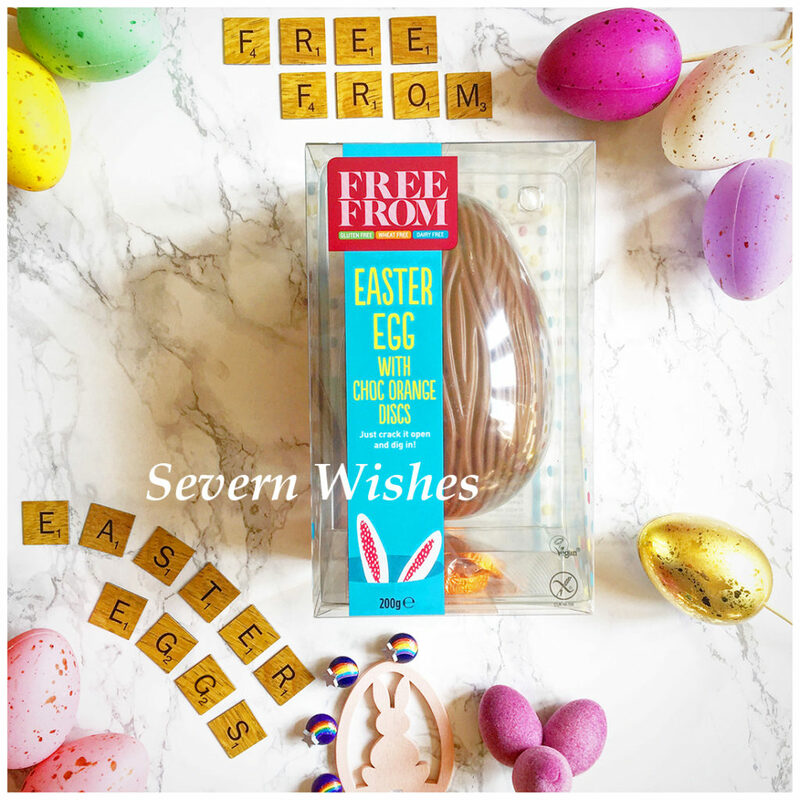 Welcome to today’s post as I discuss Free From Easter Eggs with a Taste Testing and Ingredients Comparison. This Easter time I might be on a Dairy Free diet, but that hasn’t stopped me hunting for treats! I wanted to share my findings with you all, my opinion, product information, photo’s and all! Here is my Review of several Free From Chocolate Easter Eggs. So I’m trying a few chocolate eggs that are known as free from, I require dairy free but a lot of these eggs come as free from several allergens. Wheat or Gluten or Dairy, most of these go together. I will be outlining Allergens and Ingredients with each egg below. Number 1. The first egg I have is an Asda Free From Easter Egg with Chocolate Orange Flavour Disks. The pack is available for £4.00 for it’s 200g. This Egg is Vegan, Gluten Free, Wheat Free and Dairy Free. The Asda Chocolate also has No Artificial Flavours, Colours or Hydrogenated Fats. Sugar, Cocoa Butter, Cocoa Mass, Rice Syrup, Inulin, Coconut Oil, Rice Flour, Flavourings, Emulsifier (Soya Lecithins). Soya is the only allergen present. This Egg should be suitable for those who have Nut allergies because Nuts are not part of the ingredients. 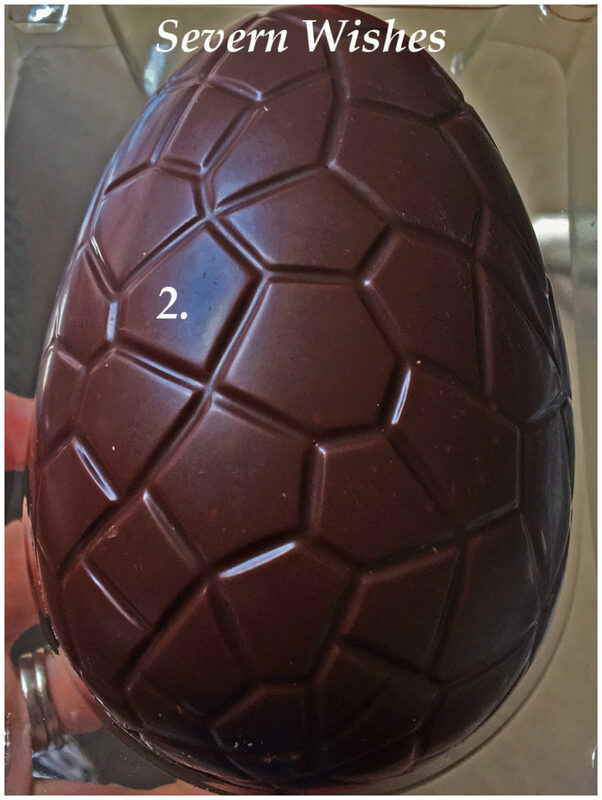 Egg Design – The Egg design has lines similar to tree bark or waves. It’s an appealing looking Egg and smells strongly of cocoa. It’s presented inside a piece of plastic (which says is recyclable on the packaging) with disks in a plastic bag at the base. The Egg size and pattern is view able through the mostly clear plastic which is good, you can see what you’re getting. You receive 6 Chocolate Orange disks in orange foil, this is one disk for every serving. The disks are round with lined tops. The foil from the disks is recyclable but the plastic bag they come in is not. Egg Taste – The Egg tastes very nice, it is quite a strong cocoa taste but leaves a nice aftertaste of sweet chocolate. The sugar content is very high though, and after a couple of bites I had had enough. The Chocolate Orange disks are very tasty, they have a strong natural orange taste to them. Egg Quality – The Easter Egg itself measures 3mm in thickness at the smallest sections and 6mm at the thickest sections. 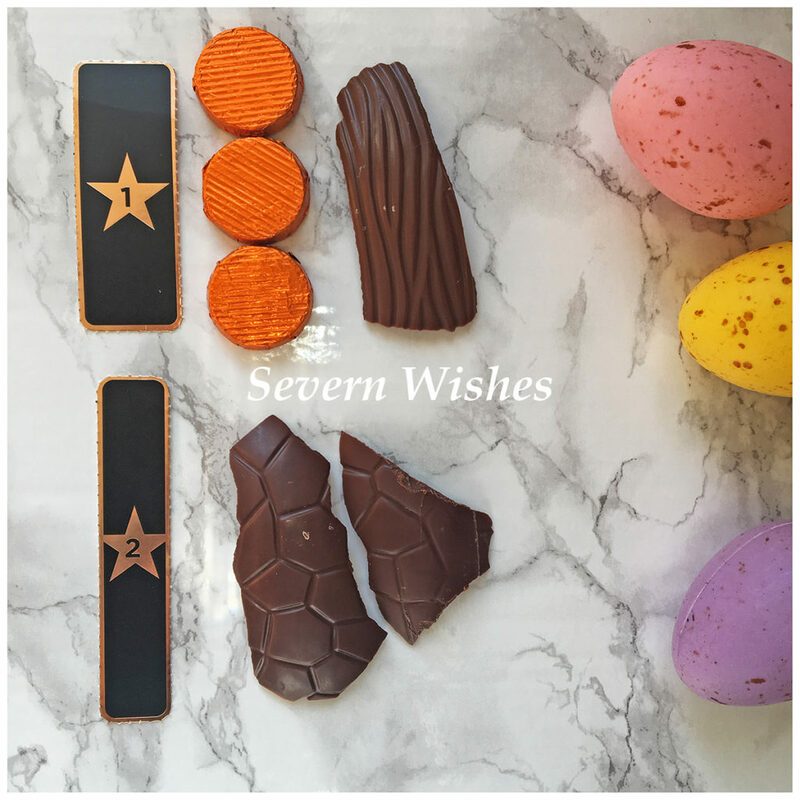 The chocolate orange disks are 5mm deep and taste great, a nice addition to this Easter Egg treat. 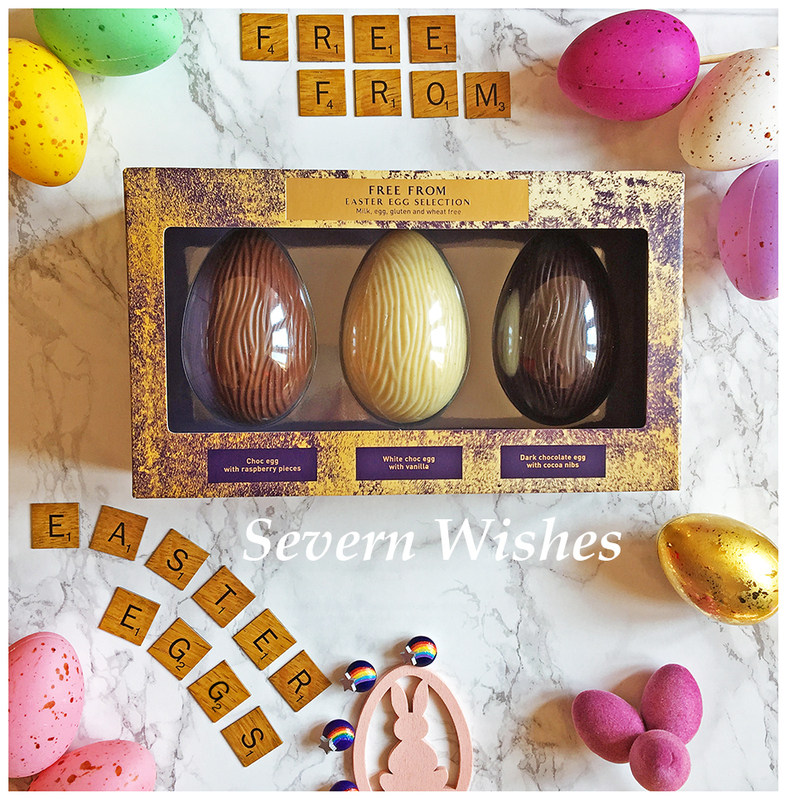 Egg Value – A very tasty Egg and a nice treat for anyone requiring a Free From Easter treat. I would say you get a lot for your money with this considering you get the Egg itself plus the Chocolate Orange disks. Because it’s so sweet you wouldn’t usually eat all of this Egg in one sitting, meaning it will last you longer too.Most of the packaging is recyclable except for the film and carton the egg comes inside. Number 2. The second egg I have is a Moo Free Easter Egg which cost me £3.00. This pack is only 110g. You can find these Eggs at most stores, I have seen them in Aldi, Asda and Tesco. Organic Cheeky Orange Egg that is Dairy, Gluten and Soya Free. This pack contains a Chocolate Egg that is a Milk Chocolate alternative made from a combination of Cocoa, Sugar, Rice and Orange Oil. 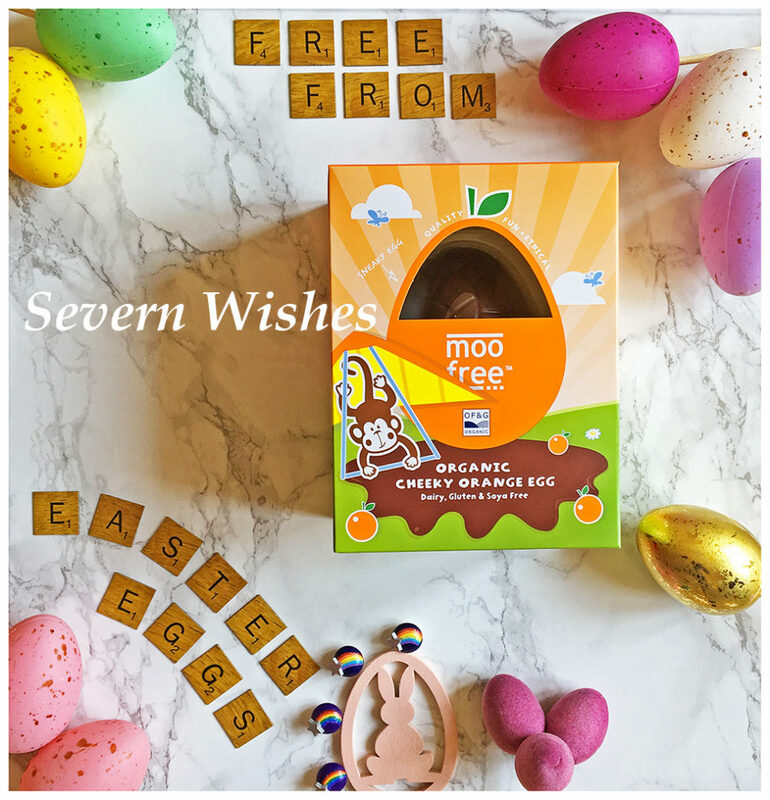 Moo Free are an ethical and family owned manufacturer based in Devon in the UK. They use high quality ingredients that have a single origin, including organic cocoa mass from plantations in the Dominican Republic. Despite no allergens being present in the ingredients the packaging makes the customer aware that the product is Dairy, Gluten and Soya Free. It doesn’t mention Wheat, and it also states that is is made in a factory that handles Hazelnuts. This pack contains 2 servings it states, 1/2 of an egg is classed as a serving. Egg Design – The design of this Egg is nice, hexagonal shapes are all over the surface of the oval shape and all link together.Taste – The Orange taste of this Egg is very prominent and along with the sugar content makes it rather sweet, almost sickly. I couldn’t manage half of my half (serving) and stopped at a quarter. It’s meant to be a milk chocolate alternative however it’s quite a plain and strong chocolate flavour. Egg Quality – The Moo Free Egg is only 3mm thick all the way around the oval. It has been the thinnest of all the eggs I have tried, and is also the most rich. The taste is nice but very strong in comparison to others. Moo do several eggs but I chose to try this Orange one, so perhaps the other flavours are not to overpowering. Egg Value – This Egg is small and you don’t get much chocolate for the amount of money that you pay. 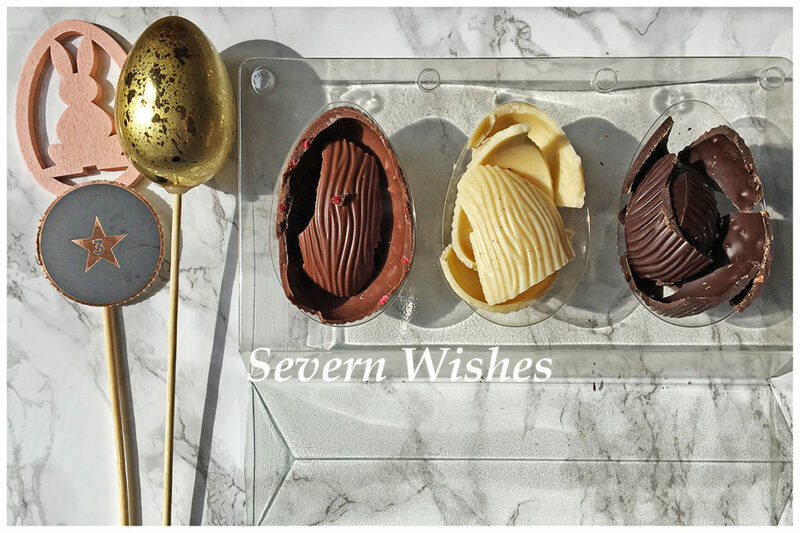 Considering most other Dairy Free items are made with Soya products though, this item gives those who suffer with a Soya allergy a way of eating chocolate this Easter. I’m very happy to see a notice on the Moo Free box which says the plastic that their egg comes inside was made with recycled plastic, and could we please recycle it again. The box is also recyclable, so of course I will do that Moo Free Company! I’d be happy to because I’m big on recycling and it makes me happy to! Number 3. The third egg I have is a Trio of Flavoured Chocolate Eggs. This one is a little more indulgent, I had it from Asda in their extra special range, it cost £4.50 for its tiny amount of chocolate at just 150g. Dark Chocolate (32%), Sugar, Cocoa Butter, Cocoa Mass, Inulin, Maltodextrin, Maize Flour, Coconut Oil, Rice Syrup, Rice Flour, Flavourings, Cocoa Nibs, Freeze Dried Raspberry Pieces, Vanilla Powder, Coconut Oil, Emulsifier (Soya Lecithins). Soya is the only allergen present. This Egg should be suitable for those who have Nut allergies because Nuts are not part of the ingredients. It also states that there are No Artificial Colours, Flavours or Hydrogenated Fat. The Pack provides 6 servings, half of each egg which would be about right considering the different tastes. Trio Eggs Design – Each of these Egg tastes great, I would say that the Raspberry combination is my favourite, closely followed by the Dark Coca Nibs. The White is some of the nicest Free From White Chocolate that I have tried however, which gives this Egg a bonus point in taste design. The Vanilla definitely makes a big difference. Over all the set is nicely balanced in flavours, you have the fruit combo which is both Sweet and Tangy, you have the Classic flavours of the Vanilla and then you have the Rich and Indulgent Dark. Trio Eggs Quality – The Easter Eggs were not hugely thick, however they were consistent at around 4mm. The Cocoa Mass was pretty high within this chocolate, dark chocolate has 58%. Trio Eggs Value – Although they are the more expensive per 100g these eggs also have the better quality. Over all I would go for the taste and these have that in abundance. You don’t feel like you’re eating something that has been designed to not have Allergens in it, but instead you are enjoying a delicious chocolate treat of high quality cocoa and its adjacent flavourings to match. I have to ask myself, would I buy these again because of the taste and quality? Yes in fact I would do. Only as a treat, and Easter is that sort of one of time where I would allow it. I only wish the eggs were a bit larger, I would pay another £1 for larger ones of this quality and deliciousness! I loved the flavour of the Orange Disks from Egg Number 1, and I loved Eggs Raspberry and Dark from Number 3 the Trio. 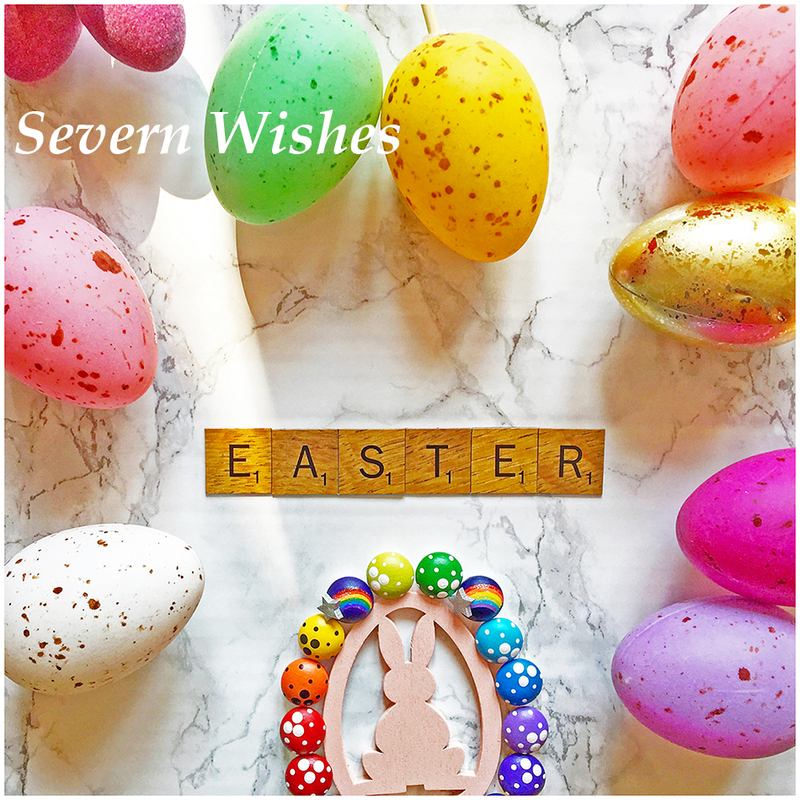 Thank you for visiting Severn Wishes today, I hope you have enjoyed this Review and that you all have a great Easter Bank Holiday! 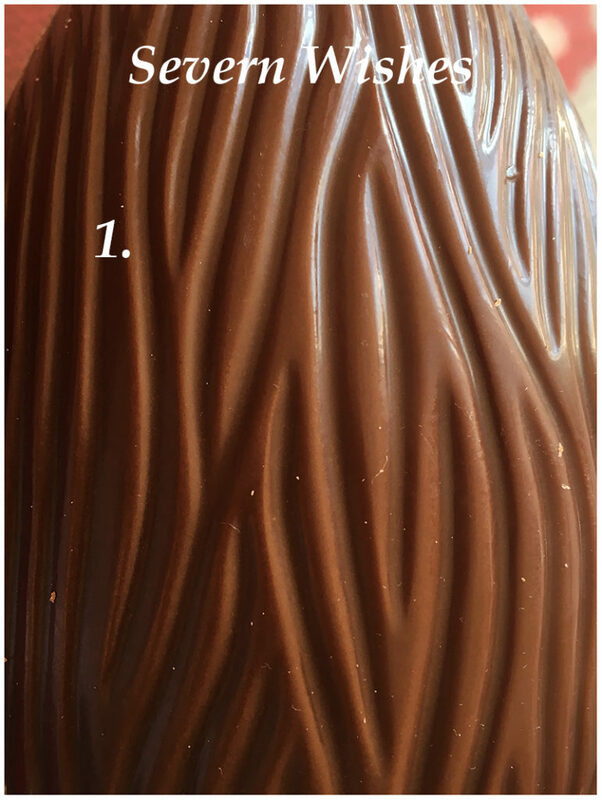 This entry was posted in Asda, Confectionery, Easter, Food & Drink, Free From, Lifestyle, Moo Free, Recycling, Reviews, Shopping, Tesco by Sabrina. Bookmark the permalink.